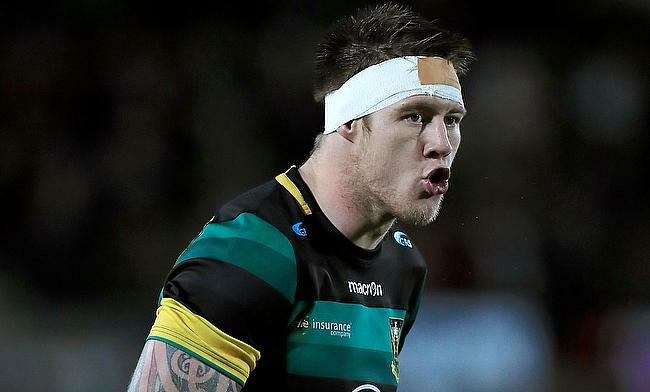 A strong first half display from Northampton Saints set a 23-9 win over Saracens at Franklin's Gardens in the final as they went on to clinch the inaugural Premiership Rugby Cup. Teimana Harrison kick-started the proceedings with a 7th minute try but back to back penalties from Max Malins in the 11th and 20th minutes meant the visitors had a 5-6 lead at the end of the first quarter. The home side managed to get their second through Tom Wood in the 23rd minute and once again the conversion was missed. There minutes later they were down to 14-men temporarily when Paul Hill was sin-binned and all Saracens managed was a third penalty kick from Malins that remained their final points in the game. By the half-hour mark, Northampton managed to sneak a third try with Ahsee Tuala dotting down but this time James Grayson kicked the conversion as the teams headed into the break with 17-9 scoreline. Both the sides were desperate to find a breakthrough but some good display of defence meant the points were hard to come by but eventually Grayson and Piers Francis kicked a penalty apiece in the 55th and 72nd minutes respectively to complete a 23-9 win over the Sarries.